You know how if it’s someone else’s child having a tantrum, it’s not at all stressful? In fact, perversely it’s quite relaxing, reassuring and even amusing? That, in essence, is what it is like to read this book. 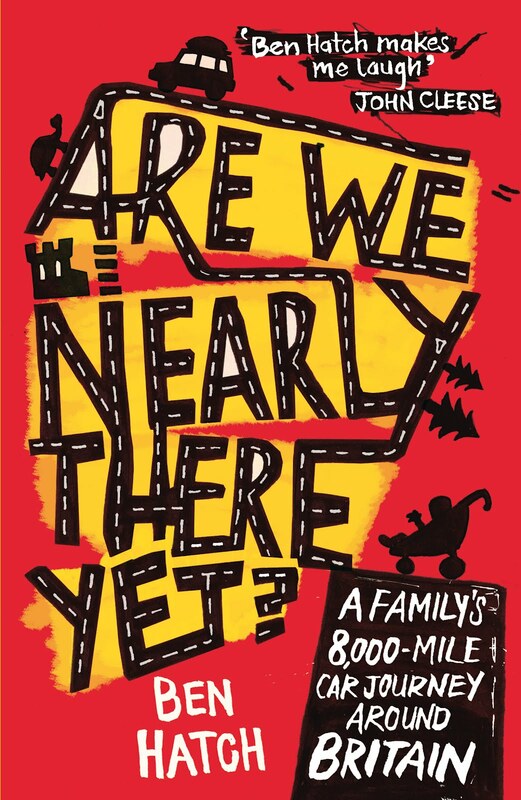 Ben Hatch’s account of how he and his wife Dinah travelled 8,000 miles round Britain with their two toddlers in a Vauxhall Astra is a great read for several reasons. To start with, there’s plenty you can relate to. The purpose of the Hatch’s trip was to write a guide book of family-friendly accommodation and attractions in the UK, and it is like an extreme version of every daytrip you’ve ever been on, complete with spilled drinks, near-miss danger moments and crack-you-up one-liners from the wee ones. Hello! I am currently knee deep in washing having returned from a family holiday en Mallorca (fab) with one day to turn things around before the four-day Jubilee weekend extravaganza. A doctors’ appointment followed by supermarket sweep this morning, I am now offering my darling little boy any bribe going so he’ll leave me to the laptop to reply to 101 emails that should have been sent a week ago. So it seemed timely to share my column in the lovely Families Magazine (Click to open the PDF, I’m on page 8), in which I pledge solemnly to be really organised and bake great cakes for the momentous Royal occasion. (Cue hollow laugh).